Self-catering accommodation for 6 people in Cerklje na Gorenjskem (04207) close to Shops. 60 m² accommodation for 6 people. This accommodation is located in the town of Cerklje na Gorenjskem (Gorenjska in Slovenia). Pets are forbidden. This accommodation is close to: Shops, Town centre, Forest, Supermarket, Restaurants, Ski lift. This accommodation is composed of: Kitchenette, Bathroom, Separate toilet, Living room, Mezzanine bedroom. Self-catering accommodation for 6 people in Marezige (koper) (6273) close to Shops. 106 m² accommodation for 6 people. This accommodation is located in the town of Marezige (koper) ( in Slovenia) and is close to: Shops, Supermarket, Restaurants. This accommodation is composed of: Kitchenette, Bathroom, Dining room, Mezzanine bedroom. Self-catering accommodation for 5 people in Vipolže - Goriška Brda (5212) close to Shops. 50 m² accommodation for 5 people. This accommodation is located in the town of Vipolže - Goriška Brda ( in Slovenia) and is close to: Shops, Supermarket, Restaurants. This accommodation is composed of: Kitchenette, Bathroom, Living room. 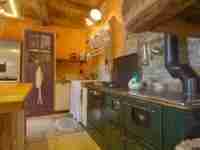 Self-catering accommodation for 8 people in Skultuna (72692) close to Nice places to go. 250 m² accommodation for 8 people. 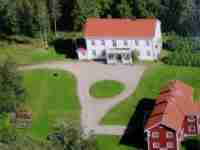 This accommodation is located in the town of Skultuna ( in Sweden) and is close to: Nice places to go, Forest, Lake, Supermarket, Restaurants, Public transport, Public pool. This accommodation is composed of: Kitchenette, Bathroom, Separate toilet, Living room, Dining room. 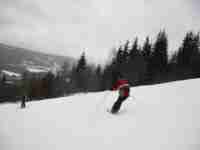 Self-catering accommodation for 6 people in Torsby (68594) close to Ski. 95 m² accommodation for 6 people. This accommodation is located in the town of Torsby ( in Sweden). Pets are forbidden. This accommodation is close to: Ski, Ski lift, Forest, Lake, Supermarket. This accommodation is composed of: Kitchenette, Bathroom, Separate toilet, Living room. 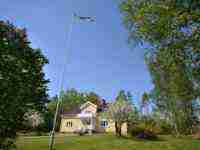 Self-catering accommodation for 6 people in Munkfors (68492) close to Shops. 140 m² accommodation for 6 people. 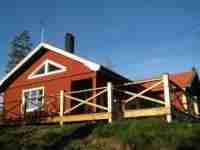 This accommodation is located in the town of Munkfors ( in Sweden). Pets are forbidden. This accommodation is close to: Shops, Town centre, Lake, Supermarket, Restaurants, Public transport, Public pool, Forest. This accommodation is composed of: Kitchenette, Bathroom, Living room, Dining room. 95 m² accommodation for 6 people. 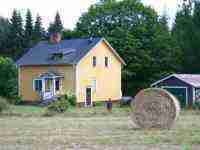 This accommodation is located in the town of Torsby ( in Sweden). Pets are forbidden. This accommodation is composed of : Kitchenette, Bathroom, Separate toilet, Living room. 312 m² accommodation for 35 people. This accommodation is located in the town of Sysslebäck ( in Sweden). Pets are forbidden. This accommodation is composed of : Kitchenette, Bathroom, Separate toilet, Dining room. 312 m² accommodation for 50 people. This accommodation is located in the town of Sysslebäck ( in Sweden). Pets are forbidden. This accommodation is composed of : Kitchenette, Bathroom, Separate toilet, Dining room.